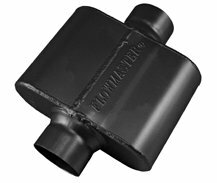 All three feature straight-through mufflers and black-ceramic-coated stainless steel tips embossed with the Flowmaster logo. 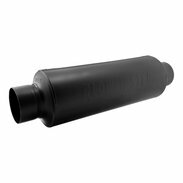 Hear the deep powerful exterior sound, the moderate interior sound and see tech specs for the new FlowFX cat-back exhaust system designed specifically for the all-new 2019 Chevrolet Silverado and GMC Sierra 1500 with 5.3L engine. 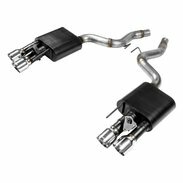 Manufacturer of performance exhaust systems, mufflers, cold air intakes, turbo boost modules, catalytic converters, race mufflers, headers and numerous exhaust accessories for late model cars, trucks, off-road, Jeeps, SUV’s, classic muscle cars, powersports vehicles and more. Flowmaster® gives you lots of exhaust choices with 12 designs of chambered mufflers, 3 styles of our exclusive “laminar-flow” mufflers and a new line of FlowFX “straight-through” performance mufflers, along with 5 sound categories of exhaust systems, giving you the customer, the power to custom tailor the sound of your vehicle whether you prefer mild, moderate or aggressive tones and sound levels. Since 1983, Flowmaster is the company you can trust, and has led the industry in offering only the best products you can buy for your vehicles. Flowmaster History 35 years ago, Flowmaster® mufflers were conceived as a solution to a growing problem with sound issues at race tracks in California and beyond. In his successful effort to quiet race cars without reducing performance, our founder refused to accept the status quo of the day and instead pushed exhaust technology beyond common thinking. This led to many firsts in automotive exhaust science, as well as many patents protecting the various technologies used in Flowmaster® products. 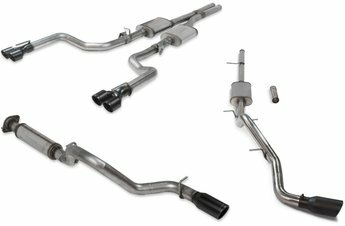 With those developments, Flowmaster ushered in a revolution in automotive performance exhaust. 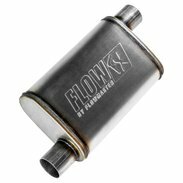 Our Mission For years, Flowmaster® has been committed to delivering the best automotive exhaust products to the market and being “The Exhaust Technology Company.” Our mission has always been to bring you the highest quality exhaust products through innovation, advance manufacturing experience and dedication to customer service and satisfaction. Now, we’re taking that mission statement to the next level by offering exciting new product categories to enhance our exhaust offerings. 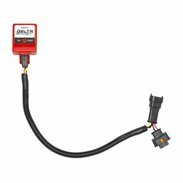 We now offer Delta Boost tuners for turbo-charged applications and Delta Force® performance air intake systems for numerous late model applications. 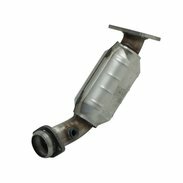 These new offerings have been designed and tuned to work in combination with our tested and proven exhaust products to maximize your vehicle’s performance. Now you can pick up an entire performance package in one place and from a company with a name you know you can trust, Flowmaster. Like today’s cars, trucks, SUV’s, Jeeps and UTV’s we too have evolved. Our new mission is to be “The Performance Technology Company.” Research & Development Our R&D department is headed by long time Flowmaster® exhaust expert and V.P. of R&D, Lee Thompson. Lee and his team work tirelessly to bring new exhaust systems, mufflers and exhaust products that are specially fitted and tested for most popular brands and models to market. 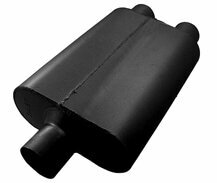 Our dedicated R&D team continuously monitors the performance of our exhaust products. 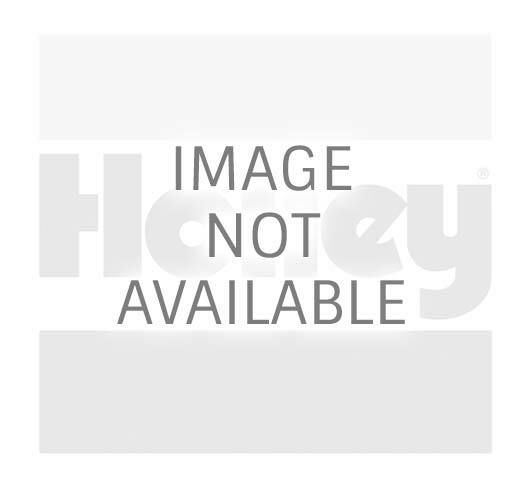 They also design, engineer and test new products to expand our offerings into exciting new categories for your vehicle. These additions, along with more to come, not only make up the commitment of our R&D department, but the total commitment of all our departments and employees as a whole. We are automotive enthusiasts and want to ensure you’re getting the most for your money. 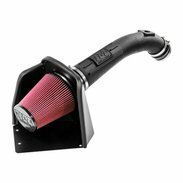 By offering only the highest quality, tested and proven products on the market, Flowmaster provides maximum performance for your vehicle and the biggest bang for your buck.